A visual celebration of the Holiday Season! View trees from local businesses, groups and individuals and vote on your favorite! Santa will be here for photos with the children! $5 will get you a digital print sent to your email and you can print whatever sizes you like. All proceeds to the museum. Have some hot chocolate and cookies with Santa too! 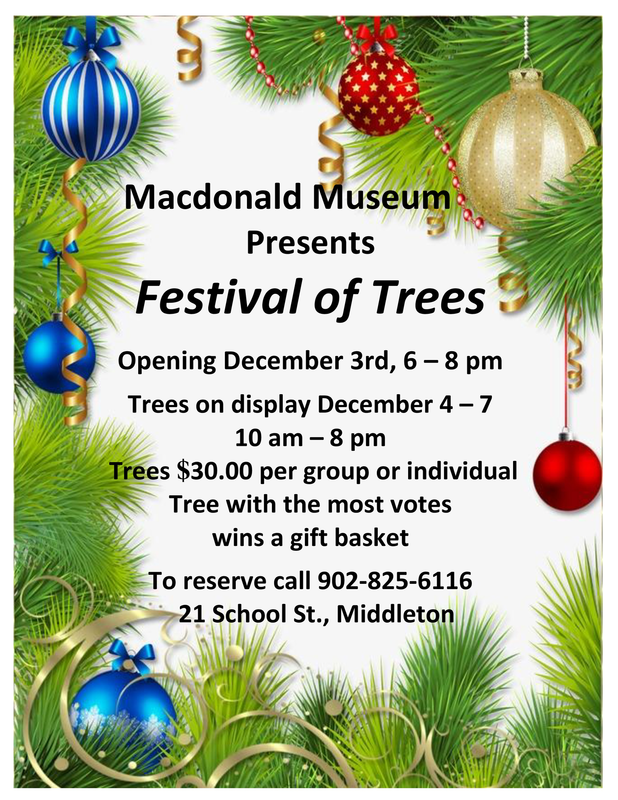 Contact us if you would like to have a tree in the exhibit! 902-825-6116.